Muslims in Assam, who have been at the receiving end since the violent agitation broke out in the name of ‘illegal migrants’ in late seventies, felt secure when the All India United Democratic Front (AIUDF) was formed in 2005 the state. However, their expectations were dashed very soon following Maulana Badruddin Ajmal’s alleged hobnobbing with communal forces in order to expand his political and business fortunes. This was revealed by AIUDF MLA Sherman Ali Ahmed who was suspended by Ajmal as he was raising voice against the opportunistic policies of the party leadership. In an exclusive interview with the Syed Zubair Ahmad (chief editor MuslimMirror.com ), Sherman Ali Ahmed, who was elected from Baghbor in Barpeta district of Lower Assam, spilled the beans about Ajmal’s leadership. He alleged that Ajmal deliberately split the Muslim votes to pave the victory of BJP candidates in the last year’s general elections. When asked why he was suspended from the party? Sherman Ali quipped that he was a lone voice of dissent against the party leadership which turned the party into his family fiefdom. He said Ajmal’s tactical support to BJP got through its candidate in the just concluded Rajya Sabha election in the state. He said at the behest of Ajmal three AIUDF MLAs cross-voted to help Biswajit Daimary to win the Rajya Sabha seat. Daimary belongs to Bodo Peoples Front which is headed by Hagrama Mahlary, the mastermind responsible for genocide of Muslims in BTAD. When asked what action he would take against these MLAs, Ajmal assured that strict action would be taken against those MLAs but till date no action has been taken against them, he added. When Muslims of Assam formed AIUDF and made Ajmal its leader and the party decided to fight elections. It was thought that Ajmal didn’t join politics for making bucks because he was a billionaire. It proved wrong as Ajmal and his party asked hefty amounts from two MLAs (one from Goalpara and another from Kamrup districts) for getting party tickets during Assam assembly polls in 2011, said Sherman Ali. He also alleged that Ajmal is not interested in solving the problem of ‘illegal migrants’ as it is a vote-catching issue for him. Successive governments had set up tribunals to determine the illegal migrants and they had ruled that there were only 5000-7000 illegal migrants in the state. ‘I tried to persuade Mr Ajmal on many occasion that the party must take the matter of ‘Illegal migrants’ to the Supreme Court but he did not pursue the matter seriously because he doesn’t want to solve this problem as it’s a political fodder for Ajmal and his party . Since it needs lakhs of rupees so I can’t do anything’ Sherman Ali said. It should be noted that in 2005 a three-judge Bench of the Supreme Court of India had struck down the ’ the Illegal Migrants (Determination by Tribunals) Act, 1983 and stated that it “has created the biggest hurdle and is the main impediment or barrier in the identification and deportation of illegal migrants”. In the act onus of proving illegal migrants was on the state or complainant. About his being suspended from AIUDF Sherman Ali said that first he got a notice from the party to not to speak to media as it ‘damages’ the image of the party. He explained that it was his duty to respond to the queries about the problems of his constituency. When he received second ‘show cause notice’ he answered in written and asked ‘to point out when and where’ he spoke to media about the party but he didn’t get any reply. Basically Ajmal came into politics to save his business and he can’t go against BJP or anyone who is power at the Centre. Apart from that he receives hefty amounts through FCRA. 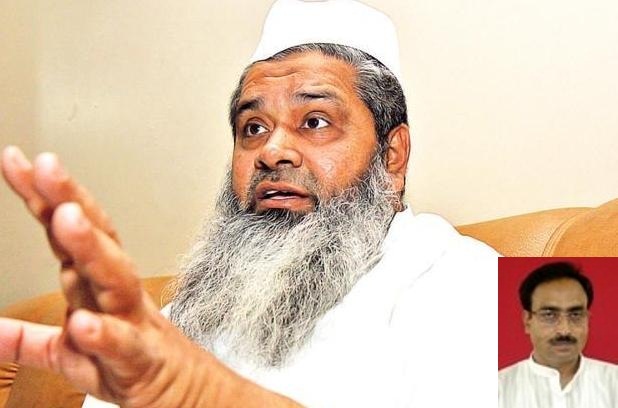 ‘The situation of Muslims in Assam will not change unless sincere and selfless leadership develops and people like Ajmal will never let an alternate leadership to grow’ said Sherman Ali. 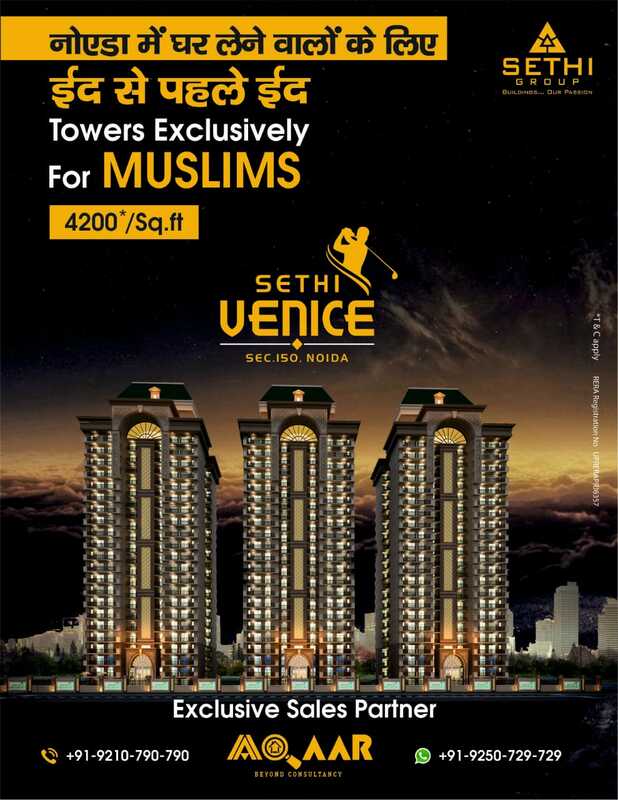 “Despite having second largest religious groups accounting 34 per cent of the state’s total population, Muslims are one of the worst sufferer communities of India. They are being neglected by the successive governments, harassed by the police and administrations in the name Bangladeshis and hounded by the Hindu extremists. They have been the victim of communal politics in the state. Congress exploited them by creating fear while communal forces branded them ‘Bangladeshi infiltrators’ to consolidate Hindu votes”. In this backdrop, Sherman Ali said one can easily understand the predicament of Muslims in Assam as the new assembly election is just six month away. How can you publish bundles of lies! 1. Journalistic ethics demand that any controversial issue must carry opinions from both the parties involved. If either party is not available or denies commenting that too is required to be published. Your story is one sided. 2. Mr. Sherman Ali has been an AIUDF MLA, was served show cause notice from his party following his lobbying with Congress during Rajya Sabha election and his cross voting for Congress against his party whip. 3. He was directly found to be campaigning for the Congress candidate in Barpeta during Lok Sabha election in 2014 and was actively working against party candidate Mr. Sirajuddin Ajmal, who at the end was elected. But following post poll analyses it was found that due to Sherman Ali’s back stabbing some 10-12 thousands votes might got spoiled thus making it a tough contest for the AIUDF with BJP, Congress performed a dismal third in Barpeta. 4. I myself was in Barpeta for 7 days during election campaign and saw what Mr. Shermal Ali was doing. I too met him with a group of seniors to suggest him to come out and to work for the party candidate, he promised he would, still he did not work or work to spoil the party votes. Thus following Lok Sabha results with a second notice he was kicked out. 5. AIUDF was formed in 2nd October 2005 not in 2004 as you are reporting. A journalist must at least verify facts. 6. How can one publish anything against anybody just to avail some criticism and limelight! 7. Ajmal Foundation or for that matter Ajmal CSR is doing charity works 24×7 of a year. People with eye sight are able to see it. This time around 3 teams are busy distributing Cold-wave measures- blankets etc. in BTAD, Nagaon and Hojai. Ajmals have been doing charity works with support from other charity organizations and individuals much before Maulana Ajmal’s political venture. 8. FCRA is issued following vigorous inspection of an organization and all accounts linked with FCRA are thoroughly checked by both state and central Govts agencies for their satisfaction. 9. All allegations on our charity are simply based on prejudiced and with vested interests. I myself being from Ajmal CSR sector deny it in totality. 10. 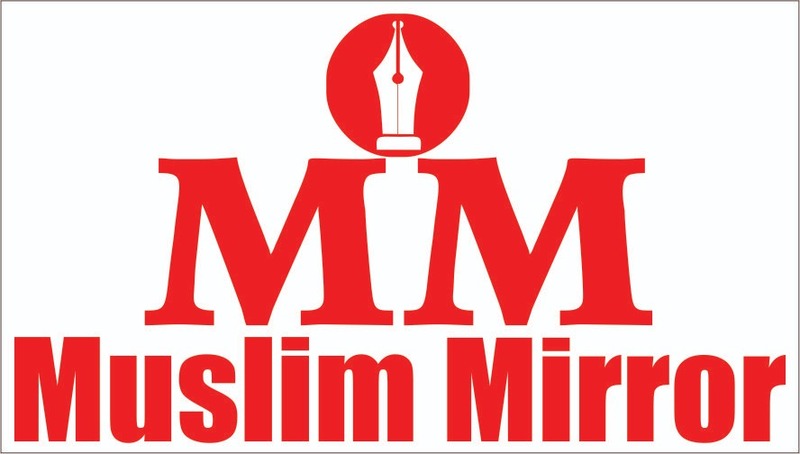 I MB Qasmi is not an AIUDF office bearer, therefore, my political statement above are based on my personal information as a part time journalist, social worker and as one from Assam and personal. what is your stand for Bangladeshi intruders ? are they changing demography of assam or not? Maulana Burhanuddin can deny that Mr Ajmal made the party his family fiefdom. What is Ajmal sb’s contribution in the Parliament as he is representing for the third term? Can he able to produce his parliamentary record in public, so people will judge his leadership quality. One Mahmood Madani had also done nothing in Parliament. The presence of AIDUF did not bring any relief to Muslims in Assam. I firmly believe that Deoband Madrasa products are not competent eoungh to lead the community. They first change the outdated syllbus as it is ruining the life of hundreds of childern of the community. Furthermore, for your kind information, if you take any interview, there is no need to give other side. Mr Sherman Ali’s narrative is 100 % true.The reality is BJP state leadership is very soft on AIUDF and never attack on AIUDF. BJP and AIUDF always attack on Congress. 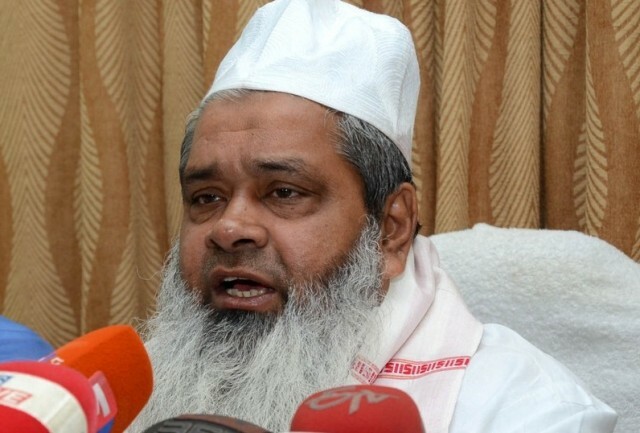 The Muslims of Assam voted and supported AIUDF and Badruddin Ajmal so the he tell the world that the Infiltration Issue is just a political one and there is nothing like Bangladeshi Foreigner..but the same Badruddin Ajmal after getting elected to parliament in his very first speech said’ while one side the work on fencing the border is continue on the other side INFILTRATION is continue. He accepted before the world that Bangladeshi are entering in Assam every moment .SHAME ON YOU AJMAL and SAHME ON YOU MB QASMI.you are the employee of Badruddin one cant expect impartiality from people like you. An editor has some rights and freedom along with some responsibilities. While stating a fact you must be correct. You again made an incorrect observation- Maul. Ajmal is in his 2nd term in parliament and not for the 3rd as you stated. Maul. Ajmal is the best performer in parliament among all 21 NE MPs according to parliament records which was well reported by all NE media houses. You are right Mr MB Qasmi sb that it is Mr Ajmal’s second term in Lower House of Parliament. Can you list some achievments inside and outside Parliament. Mr Owaisi was selected as best parliamentarian for his articulation on many issues. Can you claim for this Ajmal sb?Furthermore, what is contribution of his brother Mr Sirajuddin? Who became MP, because of nepotism. Those who know Badruddin Ajmal knows very well that he is a big fraud and Gunda.He came to politics to secure his business interest. AIUDF is his another business company which is also own by his family members. Ajmal will do what suits his politics. Badruddin Ajmal and his family wants to live the people on charity that too which comes from Gulf countries, that is why Ajmal people did nothing specially to empower the Muslims of Assam.How many technical and professional institutions were opened for the Muslim youths. He and his family just want to Muslims to live on his charity . Ajmal never want people to learn fishing ..they want to make people depend on fish donated by them.In return of those charity work he had got political power .This is all story . 1) Rajya Saba(RS) election in Assam was last held on 7th Feb/14 and Lok Saba(LS) election in Barpeta HPC seat was held on 24th Apr/14 and the result were declared on 16th May/14. I was directed by the party president through memo no. AIUDF/12/2014/77 dtd 23/5/14 to refrain from speaking to media and I was issued one (and not TWO as You have mentioned) Show Cause Notice vide memo no. AIUDF/12/2014/85 dtd 06/07/14, much after the declaration of LS election, was issued to me to explain why I did not refrain from speaking to the media. Thus the only one Show Cause Notice that was issued to me did not speak any thing about my anti party activities(???) in RS& LS election,as you have mentioned in your comments. 2) During RS election, every media(print & electronic) mentioned the names of five MLAs of AIUDF, viz Abdur Rahim Khan(who was Authorised Agent in RS election and was subsequently promoted to Deputy Leadership despite all media houses highlighting him to have been involved in cross voting), Sheikh Shah Alam(who was also an Authorised Agent of AIUDF in RS Election), Aminul Islam, Sri Gopi Nath Das and Ataur Rahman Mazarbhuya to have been involved in cross voting. My name was never uttered by any media nor by any party leader to have been involved in cross voting. In fact, I was the first and only person to have demanded on 7th Feb/14 (after Magrib Namaz) itself a high level enquiry before the party president and other party leaders in the official Quarter of Abdur Rahman Ajmol (an MLA & son of party president ) regarding the alleged cross voting incident and the party president declared before all the party leaders that a Enquiry Committee would be constituted and stringent punishment would be inflicted on the guilty on the basis of the enquiry report. 3) During LS election, I accompanied Shiraj Uddin Ajmol on his maiden visit to my constituency and campaigned for him and also accompanied him during submission of his nomination paper the next day. Thereafter, I had never visited any place under Barpeta HPC during LS election. Then how could you meet me or notice me campaigning for others as you have mentioned??? There should be a limit of even telling lies!!! 1) Whether the much hyped enquiry into the cross voting incident in RS election was conducted ? If not,Why? Whether the Enquiry Committee was constituted at all as declared by the party president? If yes, would you please get a copy of the notification regarding constitution of the Enquiry Committee be published in the media? (the party candidate got only 26 votes out of 32). As three line whips were issued and Authorised Agents were appointed to whom each MLA after casting his vote was required compulsorily to show his ballot paper, how is it that a few MLAs cross voted and yet the appointed Authorised Agents did not take note of it? How is it that the two appointed Authorised Agents got scot free even after every media pointed fingers towards them regarding their involvement in cross voting? How is it that one of the Authorised Agent, namely, Abdur Rahim Khan was promoted to Deputy Leadership after RS Election??? 3) Is it not true that BJP got 4 MPs in 2009 in Guwahati, Mangaldoi, Silchar and Nagaon HPC only because of spliting of Muslim votes in these constituencies by fielding AIUDF candidates? Please take pains to analyse the voting pattern of different candidates in 2009 LS election. With this outcome of 2009 LS election in the back of our mind, why candidates were fielded by AIUDF in 2014 LS election in constituencies like Jorhat, North Lakhimpur, Guwahati etc? Is it not true that AIUDF candidates in Jorhat and North Lakhimpur HPC got only 7000 and 31000 votes respectively? Was there any remotest chance of winning of AIUDF candidates in these constituencies? Then, what was the aim of AIUDF supremo to field candidates in these constituencies? Is it not to simply split Muslim votes and see easy win of BJP candidates? 4) Is it not true that AIUDF supremo campaigned vigouriously in Jorhat and North Lakhimpur Constituency through Helicopter, Road Shows etc? Is it not true that the AIUDF candidate in Mangaldoi constituency in 2009 LS election got 1,80,000 votes and got second position? Is it also not true that AIUDF supremo did not campaign at all in Mangaldoi constituency in this election of 2014? (in fact, AIUDF supremo did not show his face in this constituency during 2014 LS election). Where was the maximum chance of winning of AIUDF candidate? In Jorhat/North Lakhmpur or in Mangaldoi??? ‘Qasmi’ ji, you are blessed with Deoband education, and we, the lesser mortals are bestowed with minimum rationality by the grace of Almighty. 5) ‘Qasmi’ ji, perhaps you are aware that Muslims in Assam are being harassed on the pretext of being foreigners for the last four decades. Despite intensive revision of electoral rolls in 1985,1989,1993& 1997 to detect the much hyped lakhs and lakhs of foreigners in Assam, the authority could refer only three lakhs cases to the Tribunals. Out of these, court declared 94% to be Indian citizen and 66% of the remaining 6% cases which were declared to be foreigners by the court were decided ex-party. Does it not negate the much hyped propaganda of the presence of lakhs and lakhs of foreigners in Assam? Could any speech of Badar Uddin Ajmol in the Parliament during the last seven years give this message to the world? We know not. Even many devout Muslims in different parts of the country believe even today that there are lakhs and lakhs of Muslim foreigners in Assam. Are you aware that these three lakh people(who are bracketed as doubtful citizen and are referred to the court) are denied of their citizenship right and deprived of all Govt. welfare schemes(even their children are deprived of higher education and Govt. employment) contrary to the basic principle of the law of the land and UN’s International Declaration of Human Rights that a person shall be presumed to be innocent untill and unless he is proved to be guilty? Did Badar Uddin Ajmol or any of his MPs ever highlighted this issue with facts and figures in the Parliament? 6) Erosion is one of the major problems in Assam. Around 4.27 Lakh hactres of land are eroded, 2534 nos of revenue villages washed away and 1.30Lakh families are rendered homeless in Assam due to erosion since independence. Muslims are worst affected. Erosion is the root cause of the vexed foreigner problem in Assam as thousands of homeless (due to erosion) Muslim people migrate from one place to another in search of livelyhood. Did Badar Uddin Ajmol or any of his MPs could highlight this issue with facts and figures in Parliament? Please note that central Govt. has allocated 10,000 crores of rupees for Ganga and nothing for Brahmaputra river in Assam. 7) The literacy rates of the char areas in Barpeta, Goalpara and Dhubri district are 17%, 14% and 13% . The PT Ratio is highest in Muslim dominated areas(in some cases, 400:1). Did Badar Uddin Ajmol or any of his MPs could raise this issue with tacts and figures and convinced the Govt.? So on and so foth!!!!! 8) Is it not true that Ajmol receives millions of perto dollars from the Sheikhs of Middle-East for the poor Muslims of Assam? Is it also not true that perfume baron Ajmol is duty-bound to spent atleast 2% of his net profit out of his billion dollar perfume business as CSR activity? Is it also not true that Aimol and his two MPs extracts crores of rupees from different ministries of central govt. under the aegis of ‘Markajul – Ma’rif’ and ‘Ajmol Foundation’? Is it not true that only 20-30% of the fund received from one of the sources spent on welfare activity and the fund from the other two sourcee are shown to have been spent on the same activities??? If answers to these questions are in the negative, would you please publish a white -paper on the fund received from different sources and the welfare schemes undertaken during the last five years????? ‘Qasmi’ Ji, thus far and no further making fools of the poor illiterate Muslims in Assam. Last but not the least, Is it true that Badar Uddin Ajmol is fielding candidates in all the 126 constituencies in the ensuing Assam Vidhan Saba Election-2016 ? If so, whose interest would be served? ‘Qasmi’Ji, the poor illiterate Muslims in Assam have all along been keeping you ‘Qasmis’ in in their bosom and high esteem. It is my humble request that plz plz do not cross the limit and force the poor illiterate Muslims of Assam to kick you out of Assam after 2016 election. 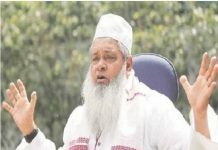 Badruddin Ajmol and his family receive 100s crore rupees through FCRA and Hawala from Gulf countries out of them less than 10 is spent on charity.Recently the Assam Congress president accused the BJP of having offered `150 crore to the AIUDF for a deal under which the latter would have to field candidates on all 126 constituencies against the Congress.On the other side the AIUDF leaders are opnely asking huge money from the candidates for the tickets and they are conducting some kind of auction for the tickets.tickets. Infact Ajmol family is greedy of money.Muslims of Assam should take notice of such greedy people and boycott them. I do not understand Why Ajmal sahab contested LS election in 2009 from Silchar constituency which paved the winning way for BJP candidate. Simultaneously he contested Dhubri LSC which he won subsequently. Veterans like Advocate Hafiz Rashid Ahmed Choudhury, Abdul Muktadir Chy etc. were slowly gradually sidelined in the party…AJMAL SAHAB IS NOT READY TO TOLERATE CRITICISM…WHICH IS VERY DANGEROUS… A leader must take into account the dissent voices… You can not take people granted for the charitable works that you do. There is a saying “You can fool some people somedays, not all people for all days”. Moulana Badaruddin Sb should introspect and act accordingly. Else history will not forgive him. Now Mr BM Qasmi should explain his defence for Mr Ajmal as the suspended MLA has given all the explanation he wanted. Mr Ajmal cannot hide his misdeeds under carpet by running some welfare activities. one may ask why he joined the another faction of discridetd Jamiat Ulema Hind led by Mr Mahmood Madani after he was thrown out from the Arshad Madni-led faction? Mr Ajaml should come out clean as his own MLA had made seroius charges against him. Iff Maulana Ajmal believes probity in public life and hereafter, then he must clarify his position. It is preposterous to estimate Mr Badruddin Ajmal in the ‘Muslim’ framework. His prime focus is to protect his business spread over at least three continents. His foray into politics is only to protect his business, and nothing else. He is shrewd and wants to be in the good book of the people in power. He is intellectually dumb – a fact that the people around him shudder to think even. I missed the final point. Mr Ajmal source of inspiration – Deoband school – is itself intellectually poor. Minus two or three, no one from that school qualifies to represents Muslims. One of Mr Ajmal’s friend is Maulana Mahmood Madni – who parted ways from his uncle Arshad Madni over property – is also a potential picture of fool. Except the naive Deoband students, can any body find them fit in the below couplet. You are absolutely right Mr Asharf that both Madani chacha and Bhatija are not fit for the leadership of the community. they are parasite of one political party or the other. if they cannot stand remain united, what moral right they have to ask the community for unity. They may be fool gulible madrassa products but not educated sections of the community. Mr Ajmal is from thier stable, he is following their footsteps in Assam and eleswhere. I ask Mr MB Qasmi, why he is now mum on the issue? He should come forward with his argumnets. Waiting for his reaction?.